When you walk into your office building, what do you think? Do your eyes just glaze over and you don’t even really notice your reception area? 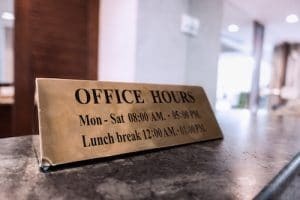 Now is the time to transform your reception area so it’s welcoming, comfortable, and impressive for every employee and visitor who walks into your office building. You won’t have to spend an arm and a leg and you’ll get high quality pieces when you come to PnP Office Furniture. We’ve been partnering with office managers in the Ontario, CA, area and surrounding communities for over 30 years. When you come to our store or give us a call at 909-390-0428, we’ll make it our mission to make your reception area attractive and pleasant for anyone who sees it. We invite you to start checking out many of our most popular reception area pieces here. As you can see, we have various beautiful reception pieces for you to choose from in multiple colors and styles. We have chairs, sofas, tables, reception desks, and more to make your reception area look its best. At PnP Office Furniture, we know that you have choices when it comes to purchasing office furniture. Our mission is to provide you with high quality office furniture for every part of your office without breaking your budget. Our furniture warehouse is fully stocked with all kind of office staples including chairs, cubicle partitions, and filing cabinets – and even reception area furniture and executive furnishings. Shopping for office furniture at PnP Office Furniture is fun and convenient because we offer delivery services within a 50-mile radius of our Ontario, CA store. We guarantee that most in-stock items will be at your office within 72 hours of purchase. Don’t forget to check out our February specials, going on now for a limited time. Every once in awhile, we accumulate a large inventory of items at low prices, and we relish the opportunity to pass these savings on to you. This February, we have sales running on high back and mid back office chairs in black, white, and red. We also have sales running on height adjustable tables in 3 attractive sizes. Plus we have high quality big and tall pneumatic office chairs for sale available now for unbeatable prices. We even have Air Guard ® office chairs for sale, which have achieved GREENGUARD certification. Take advantage of these special deals now – they won’t last long! You’re invited to stop by our warehouse so you can see for yourself how easy and rewarding it is to get office furniture from PnP Office Furniture. Our business hours are Monday-Friday 8:30am-5:30pm and we’re located at 940 South Rochester Ave. Suite D Ontario, CA 91761. If you see something you like while browsing our website and you’d like to save yourself a trip, feel free to give us a call at 909-390-0428 to purchase over the phone.